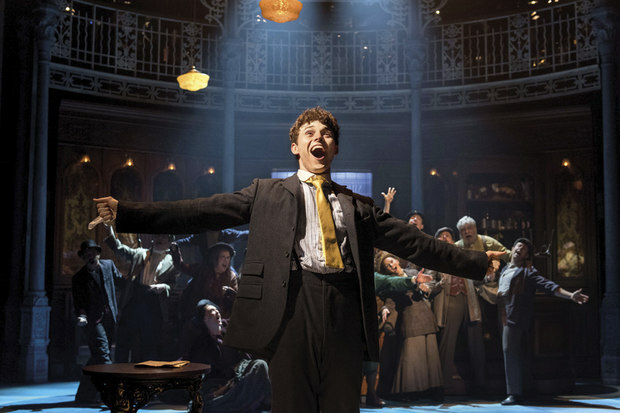 Half a Sixpence is the story of young Arthur Kipps (played masterfully by Charlie Stemp) on his journey up the social ladder, torn between two ladies from opposite ends of the social spectrum and dazed by the huge fortune he has come into. 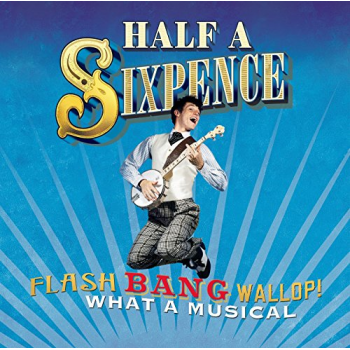 The story is based on the semi-autobiographical novel- "Kipps" by H G Wells, who was described by Cameron Mackintosh, the producer and co-creator of this new version of half a sixpence, as "A 20th Century Dickens". The musical numbers are a mixture of those written for the original 1963 production by David Heneker, and those that were written for this new version of the musical by George Stiles and Anthony Drewe. They are all jam-packed with energy and accompanied by the most stunning choreography - the fantastic cast certainly looked like they were having a ball! The new songs were well written, featuring an irresistibly catchy second act opener - "Pick Out a Simple Tune" which starts with some dodgy chords on the banjo and runs into a whirlwind of energy with the whole cast singing and dancing, I felt quite breathless just watching! Despite the play being rewritten for a modern audience, the plot is still rather weak and predictable, featuring two two- dimensional female characters, Ann - a poor girl from Kipps' past and Helen - a beautiful evening class teacher who is of the upper class. They each simply long to be loved by Kipps and that really appears to be the extent of their character. However, that is not to say that the actresses (Devon-Elise Johnson and Emma Williams, playing the parts respectively) did not make the most of their unfortunately weak characters. Johnson plays her character with a wonderful openness and honesty which is impossible not to fall in love with. Ian Bartholomew plays a brilliantly funny Chitterlow, but the stand out performance must be Charlie Kemp in the lead role of Arthur Kipps. His endless energy keeps the play going and his superb dancing and singing at some points carry the show when the plot slightly slows down, which does happen occasionally. That said, the last number, "Flash, Bang, Wallop" certainly packs a punch, with a huge amount of audience participation on the night I went! It is impossible not to leave this production without a huge smile and absolutely buzzing! If you go on the day of the performance from 10am onwards, you can get 'day tickets', which are tickets at a reduced price(£20). Although on the first row of the stalls, the view is surprisingly good and there is no view restriction.